Washington, D.C. (February 13, 2015) — In the six months since the Ice Bucket Challenge soaked the nation, The ALS Association has made considerable progress in developing and executing strategies to put the incredible financial support to immediate use in the fight against amyotrophic lateral sclerosis (ALS). Last summer, 15 million people in the U.S. participated in the Ice Bucket Challenge—or roughly five percent of the population—and donated $115 million to The ALS Association. Since that time, The Association has laid out a strategy to triple the amount it spends on research every year. Last fall, The Association announced $21.7 million in initial commitments to ignite six projects, including four collaborative research initiatives to build understanding of the disease, target new therapies, expedite clinical trials, and make DNA and RNA sequencing data available to the entire ALS research community. Phase II clinical trial development awards (up to $1,500,000 each) for studies that test promising treatment approaches in people with ALS. Applications for funding will include a strong plan to identify markers of the disease that change with the treatment approach. Currently, The Association is funding approximately 140 active projects globally. Projects are milestone driven, which enables The Association to redirect dollars when the science demonstrates that one approach is not feasible, and another is more promising. At the end of January 2015, The Association launched a Drug Discovery call to support academic and industry partners to develop novel treatment approaches. Funding will support all aspects of drug discovery up until the clinical trials stage. 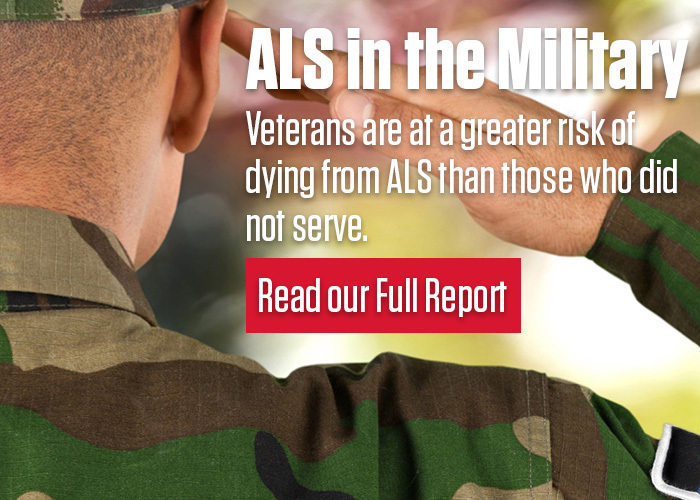 “It can take upwards of $1-2 billion to develop one effective treatment, so it’s critical that we continue the momentum around ALS that started with last summer’s Ice Bucket Challenge,” said Newhouse. An ambitious effort to engage the U.S. Food and Drug Administration, industry and other ALS organizations to create a guidance document for ALS drug development. The guidance will provide a roadmap that facilitates and accelerates the development of new treatments, bringing them from the bench to the bedside as fast as possible. ALS Association Certified Treatment Centers of Excellence. These Centers not only provide care and services to people with ALS but also conduct ALS research and serve as sites for clinical trials. The Association is increasing its annual grants to the centers from $12,500 to $25,000 per center, which was the funding level pre-2008, for the next three years. Community-based care services delivered by 39 chapters of The ALS Association to ensure that people with ALS have access to professional care management, consultations, respite care, equipment loans, support groups and more. In Philadelphia, our Greater Philadelphia Chapter was able to use the Ice Bucket Challenge funding to purchase assistive technology supports to loan to people with ALS to help them move and speak. Our Mid-America Chapter hired a Care Services Manager to provide vital support purposes to people living with ALS in rural communities in Nebraska and Kansas. The position will make home visits and organize support groups for people who have very limited access to care. Our chapter in Louisiana/Mississippi was able to reinstate its Respite Care program, which it had cut due to lack of funding, offering a few hours of relief to ALS caregivers, essential for maintaining mental health in what is often a critical but exhausting role. Our chapter in the Dakotas and Minnesota was able to purchase more durable medical equipment like power wheel chairs for its loan closet thereby eliminating all waiting lists for people in need.